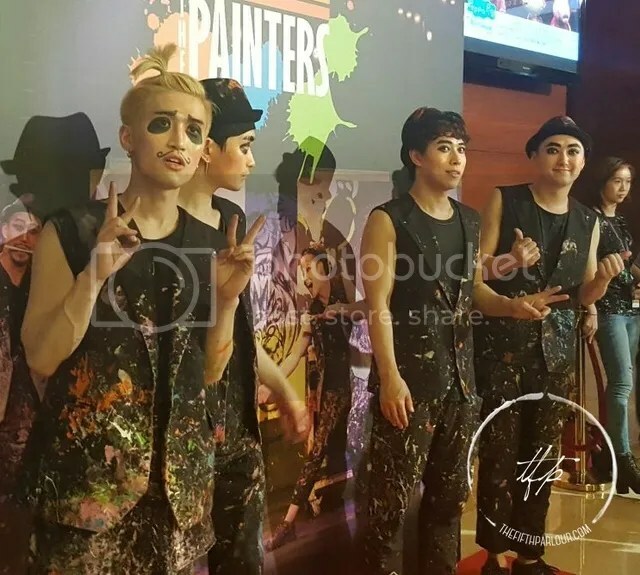 On Friday, The Fifth Parlour had the opportunity to attend the Gala Night of The Painters:Hero at the Resorts World Sentosa Theater. Our interview with Team Chaplin made me more excited to catch the play. While waiting for the Team Chaplin to be out, I saw a liner on the screen which says “must see performance from Korea”. I thought to myself this better be good since it is my first time catching a play; a non-verbal performance. Right from the start, I found myself laughing at their cute antics. It was amazing how Team Chaplin was able to make the audience laugh without even telling a joke. Their action, movements and expressions made the play interesting. 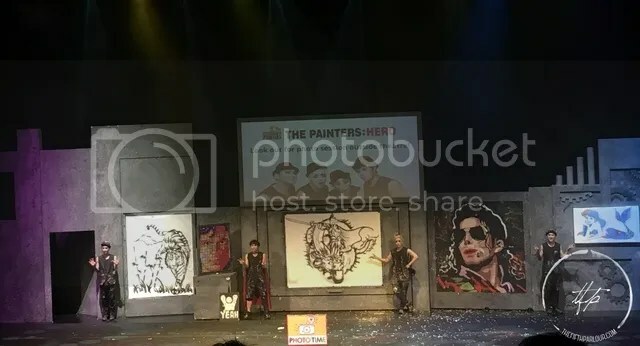 Not only were they able to make the audience laugh, they were also able to wow us with their art. Not a dull moment during the one hour play. Team Chaplin made the audience wait at the edge of their seat anticipating their next moves. And what was interesting was that they usually do the opposite of what you were expecting. Their drawings of different techniques showcased their creativity as well as their different personality. The visual effects also added substance to the whole show. Team Chaplin danced to hits from Michael Jackson, showcased their Bruce Lee kung fu moves, and shook their bums like they were on a dance floor. One of their drawings even included the Singapore Flyer and the Merlion! 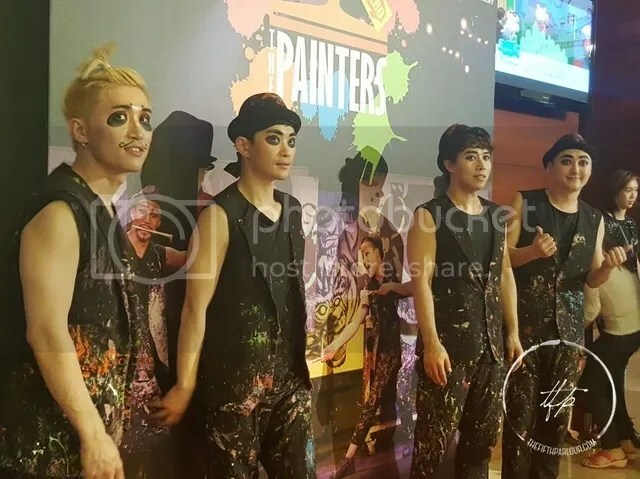 During the interview with Team Chaplin, they shared that one of the challenges faced is when the audience were not as responsive during the show. I wonder how can anyone not be responsive when the team is able to make you laugh without trying really hard. How can anyone stay silent and not respond to these talented individuals. Their interaction with the audience is marvelous even though they were miming. Other than joking around, they invited some audience on stage to join them dancing. It was really hilarious to see these invited guests trying to imitate Team Chaplin. What a night filled with laughter and art. It was remarkable to see how Team Chaplin, hardly having any background in arts, bloomed into artists in their own rights. No doubt that it involved a lot of dedication and hardwork on their part. Now, I know why people would want to buy their paintings. Unfortunately, it is not for sale. I am looking forward to their next show. If you are planning your itinerary in Korea, you should include them! Remember, it is a must see performance from Korea and it is family friendly too. The boy who was seated in the same row as me was laughing to his heart’s content. The Fifth Parlour would like to thank Red Spade Entertainment for the invitation.